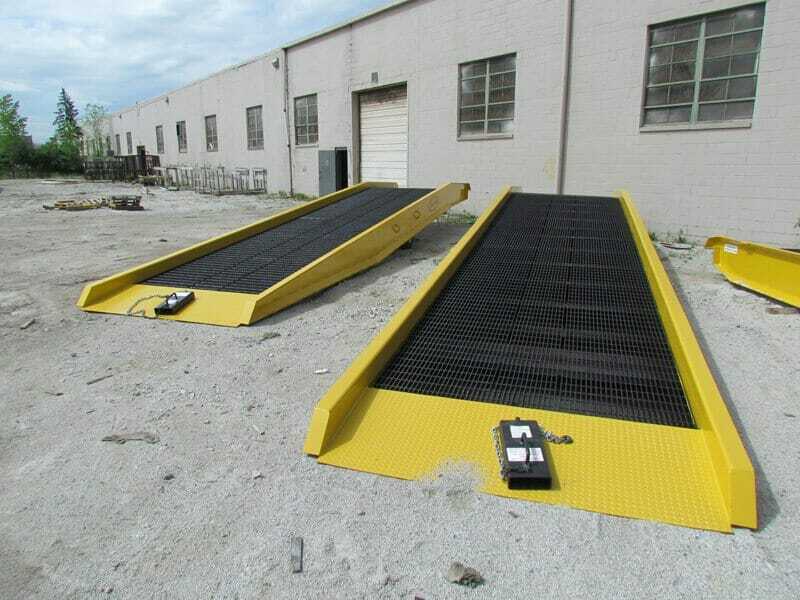 Here are two of our yard ramps in a Maine loading dock. Copperloy is the only name you need to know when you want high quality and dependable yard ramps in Maine to hold up to all of the harsh weather and conditions not only in the worst of the winter months, but all throughout the year. No matter what industry you’re in, we have the material handling and loading dock equipment you need to get the job done quickly, easily and safely. 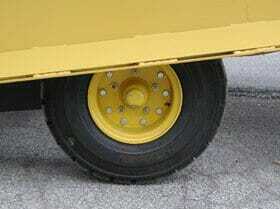 We have locations for distribution, shipping and servicing throughout the state of Maine. That means quick and low-cost shipping, hassle-free service if it’s needed, and a variety of additional benefits ensure that your business continues running smoothly. 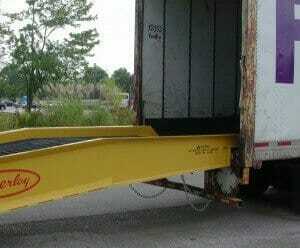 Our range of yard ramps and loading dock equipment available in Maine is extensive. This includes our collection of industry-leading yard ramps, including mobile ramps, dock to ground ramps, truck ramps, and forklift ramps. We also offer an array of additional material handling equipment as well, and everything is available in numerous sizes, specifications, capacities and styles. Call Copperloy today at 800-321-4968 to learn more about our Maine yard ramps and loading dock equipment, and to get started today with our custom steel manufacturing.